There are numerous assortments of mobile phones available in the market with different attributes to meet the needs of every mobile user. Most of us may be intent to buy a smartphone that has been released recently. However, for most of us, these expensively priced cell phones are beyond the limit that our pocket can permit. There is no need to get upset and choose some standard phones. There is a way to get a hold of a smart one at a reasonable price. You can buy a reconditioned or used mobile phone that will hardly cost you the one third or half price of its brand new counterpart. Though getting a used or refurbished mobile phone can save you a lot, you should keep in mind that it can be a daunting task to find out a good deal- good-conditioned phone at an affordable price. Well, you can make it easier if you follow a proper guideline. Here is what you need to know about buying a reconditioned or used smartphone- and a few key questions to ask before you make a purchase. 1. Is It Really Good Idea to Buy a Used or Refurbished Phone? Of course, it is. Most of the people think that used or reconditioned phones are poor-quality and defective ones. Well, it is not correct. It is a common practice that so many people buy sophisticated smartphones and when they are bored with them, they upgrade them with the latest ones. They return their old phones to the company during the warranty period. And then, they are resold as “Used or Reconditioned Phones” at lower prices. Though these mobile phones are old ones, they don’t have any issues with their functionality. So, buying such kind of smartphones can be a really good deal since you can grab a good mobile phone of your choice without disturbing your monthly budget. 2. Where Can I Purchase a Second Hand or Refurbished Phone? Craigslist is a traditional place that lets you find a lot of money-saving deals on used or reconditioned phones. However, it involves the most risk because you are purchasing directly from an individual seller and don’t get any guarantee or return policy. So, be careful in the selection of a seller. Millions of people or companies choose eBay for selling their products including mobile phones. You can easily discover various deals on second hand or refurbished smartphones there. Nevertheless, remember that such types of sites don’t examine the phones and many scammers try to sell their second-rated or defective phones as new or reconditioned ones. So, try to avoid potential scams when buying a phone from eBay or any other auction sites. These marketplaces act as mediators between seller and buyer and guarantee the deal. Further, these sites inspect second hand mobile phones before presenting them for sale, therefore, you are certain to get what you are paying for. Third-party dealers or sellers are typically approved by smartphone manufacturing companies. Such type of marketplaces offer factory-refurbished and fully tested mobile phones. So, you can buy a nearly new phone at a good discount. If you want to own a used iPhone, you can explore the refurbished iPhone dealers in UK to avail the best ever deals. 3. Is Any Difference Between a Reconditioned or Used Cell Phone? Yes. Both are typically different from each other. Used phones are generally sold as-is. That means such mobile phone devices don’t get any refurbishment treatment to restore their fresh condition and functionality. Therefore, they have some scratches and signs of usage or damage, but good in performance if you buy from a reputable seller. Conversely, reconditioned phones are undergone a complete refurbishment treatment to fix any glitches and to restore their fresh look. This is the reason, such mobile phones not only look like new handsets but also work as good as the new ones. Bear in mind that used smartphones are usually cheaper than refurbished/reconditioned ones. 4. Is the Mobile Phone Unlocked? If you are going to buy a second hand or reconditioned phone, you should take into account that either it is locked or unlocked. If you get a locked cell phone, it means that you can’t activate it with any carrier of your choice because it would be locked to some particular carriers. So, try to look for an unlocked mobile phone. Unlocked smartphones enable you to use the services of any preferred network service providers on your gadget. 5. Is the Second Hand Phone Stolen? If you are purchasing a used or refurbished mobile phone from eBay or Craigslist etc. then it is imperative to make sure that the phone is not stolen or blacklisted. A lot of scamming people use these sites to make money by selling those smartphones that are reported as blacklisted by their real owners; that means these phones have been lost or stolen. Keep in mind that blacklisted phones are not usable. On the other hand, if you head over to a retail site or a certified dealer’s website to buy a second hand phone, they check the serial number and ensure phones are not stolen before selling. But if you are doing a deal on eBay or Craigslist, you are all alone. So, you should ask the IMEI number from the seller to check that the phone is blacklisted or not. 6. What Condition Is the Second Hand or Refurbished Phone In? Before buying a used or reconditioned phone, it is obvious to make sure what condition is it in. These phones are generally categorised in different Positions, depending on their condition. Pristine, Excellent, Good, Acceptable, and Refurbished are some terms which are ordinarily used to define the condition of used or reconditioned phones. Hence, some dealers or sellers also categorise used smartphones in different Grades. Grade A phones not only look like new phones but their quality is also much closer to the new ones, while Grade B and C mobile phones might have some scratches, signs, and marks etc. 7. What’s a Used or Reconditioned Phone Worth? Don’t become a fool by paying more for less. If you are buying a used or reconditioned phone, it is also key to consider its price. Commonly, second hand or refurbished smartphones are low priced, as much as 50% cheaper than their counterparts. However, the prices depend on the make, model, and condition of the phones. So, before getting attracted towards the cheapest price, inspect the phone condition. Moreover, never choose the first price you get for a second hand handset. Browse multiple deals and compare them to pick up the best one! 8. Do I Get Warranty on My Used or Refurbished Phone? It is another key question you must consider before getting a used phone. In general, used phones are not covered under warranty but some sellers provide it. Conversely, reconditioned ones are offered with 90-180 days warranty. Prefer a seller who offers you a decent warranty and money back guarantee whether you are buying a used or refurbished smartphone. 9. Is Now the Right Time to Purchase a Refurbished or Used Smartphone? Yes, absolutely! Time is money and you can start looking for various deals on used or reconditioned phones available at different shops today. I am sure, you will definitely find the one that fits your needs and budget. However, it is important to take into consideration that when new models come into the market, the prices of previous versions drop down. 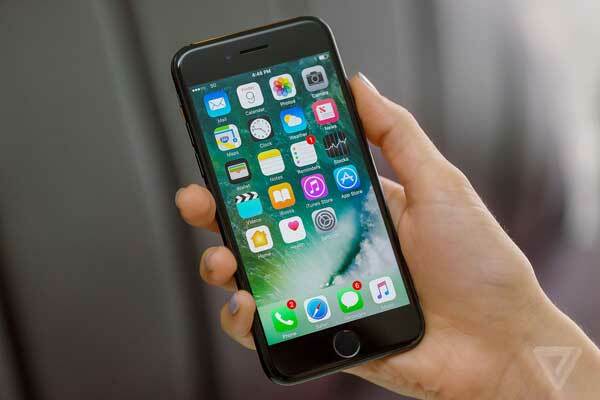 So, if you are interested in buying an iPhone X or Samsung Galaxy S8, you can get it in a refurbished condition and save hundreds of pounds since the latest Samsung Galaxy S9 has entered into the market and Apple is also going to launch its three new iPhones in a few coming months.